Kasperky has replaced individual updates in zip files with their Kaspersky Update Utility. They no long will be issuing these types of updates so we have placed the installer for the Kaspersky Update Utility 2.0 in this entry. 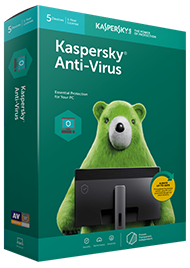 Keep your Kaspersky Anti-Virus updated. KasperskyEnter your city here Anti-Virus combines reactive antivirus detection with the latest proactive technologies to provide your computer with solid and dependable protection against malicious programs.